Max shares how coming into new identities has expanded his perspective of allyship and representation as it relates to both movement work and his work on campus. Working in the first and possibly only Minnesota two-year college campus LGBT Center, Max talks about navigating his many and various roles as educator, director and resource to many minority students on campus. Max centers the brilliance of adrienne maree brown and Mia Mackenzie, which are both pivotal to informing his approach to higher education inclusion work. 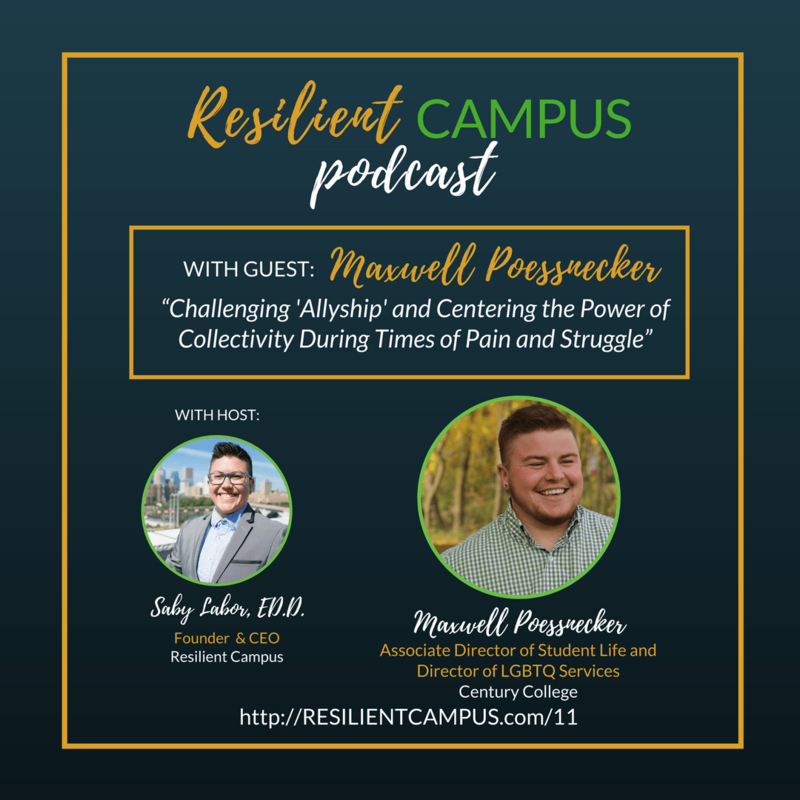 Maxwell Poessnecker currently serves as the Associate Director of Student Life and Director of LGBTQ Services at Century College. Maxwell openly identifies a queer, first-gen, trans-masculine educator. Within his work as a student affairs professional, Max strives to lift up marginalized voices and experiences, particularly those across intersections of race, gender, class, and sexuality. Max engages his work in higher education with intentional authenticity, which continues to be a work in progress. Off campus, Max enjoys being outdoors, brewing beer, woodworking, and spending quality time with his cat, Fitzgerald. Maxwell uses he/him and they/them pronouns.